With Caesar’s Entertainment posting another bad Quarter (in the red by over $241 million during Q2 of this year) and with their Fitch Rating downgraded from “stable” to “negative”, analysts are suggesting that the only way out for the massive casino corporation would be a restructuring, including offloading the very lucrative World Series of Poker brand, one of the companies best assets. According to Vegasinc.com Caesar’s still has enough liquidity to cover its near $20 billion of debt, but the Fitch rating company’s report is more concerned about the Caesar’s ability to continue pumping investment dollars into the business as more debt is expected to be racked-up over the next two years. The WSOP is one of the crown jewels of Caesar’s Entertainment; especially considering the lucrative how the company acquired the WSOP brand back in 2004 from Binion’s… Harrah’s Entertainment (which later became Caesar’s Entertainment) purchased Binion’s Horseshoe Casino and all of their assets including the WSOP Brand in 2004. Harrah’s immediately sold Binion’s for what is purported to be roughly the same price they bought it for, but withheld the WSOP. This gave Harrah’s control over the WSOP for practically nothing, which will likely go down as one of the best deals in casino history. 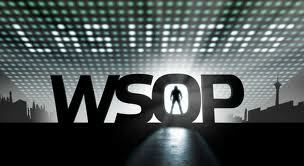 In 2005 Harrah’s moved the WSOP to their Rio property, ending the 35 year run of the event at Binions. Over the years the WSOP brand has grown to include the World Series of Poker Circuit Series, the World Series of Poker Europe, the World Series of Poker Asia Pacific (which kicks off in 2013), and an online poker room on the 888 Poker Network, WSOP.com. The report did say that if online poker is legalized in the US it would boost the valued and earning power of Caesar’s, as some of their key assets lineup nicely in this market: the WSOP.com UK poker site and a software development company called Playtika.